I hadn’t been bowling in at least 5 years and I was reluctant to. To be honest, I’m always reluctant to leave my house. But since I had been responsible for the failure of our Obubu trip, I had to comply with my friends wishes. I’ll admit that I’m glad I did. I had the best time ever. We got there around early midday so it wasn’t crowded. Payment and service was swift, N1500 per adult and N1000 for children. We paid in cash so I can’t say anything about their POS, but it’s safe to assume they have one. After inquiring about our shoe sizes, we three were handed a pair each, with socks as is custom for most bowling centers. The Centre has 6 alleys and 3 ball racks. It was neatly organized and quite clean. There’s a Floor Supervisor monitoring the play area and looking out for players. There’s also an eating area beside the railed off Bowling Alley, which allows other people watch you play. I feel like they have a limited variety of bowling balls. Many were the really heavy 13s, a few 8s and small 6s. The 8s got too heavy with time and the 6s felt to light. I don’t know if 7s exist but they might have served me better. Oh, there was good music, the trendy local variety you can dance to when you make a strike! We each had a Chapman, cold, delicious and affordable at N1000. I didn’t use the convenience so I can’t say anything about its condition, however, going by the state of things in the center, I’m optimistic it’s in good condition. 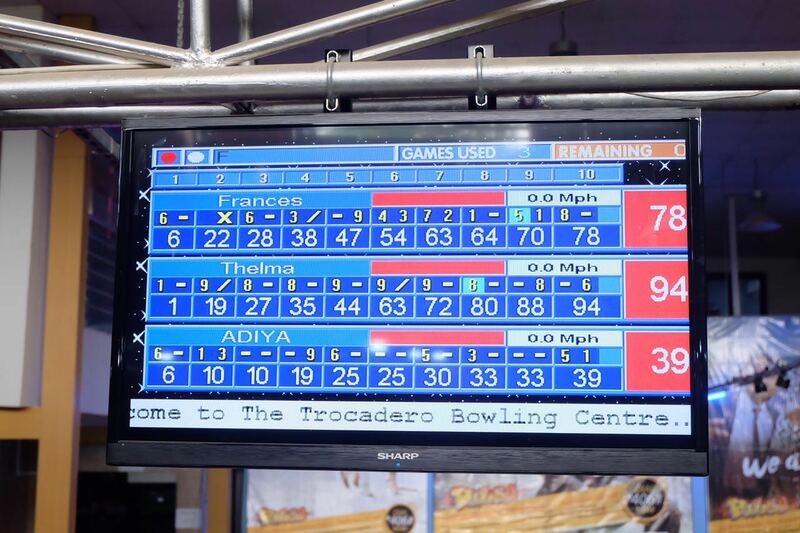 In summary, my experience at Trokadero Bowling Center was quite pleasant. I think it is an excellent place to hang out with friends, have some family fun, or go on an exciting date. I totally recommend stopping by, and of course, sharing your experience in the comment section. I really like hearing for you. Great review! I needed this.